Sponsored post - "Pass the Prosciutto"
I am so glad I got a chance to make a recipe and blog post with beautiful Parma Ham. 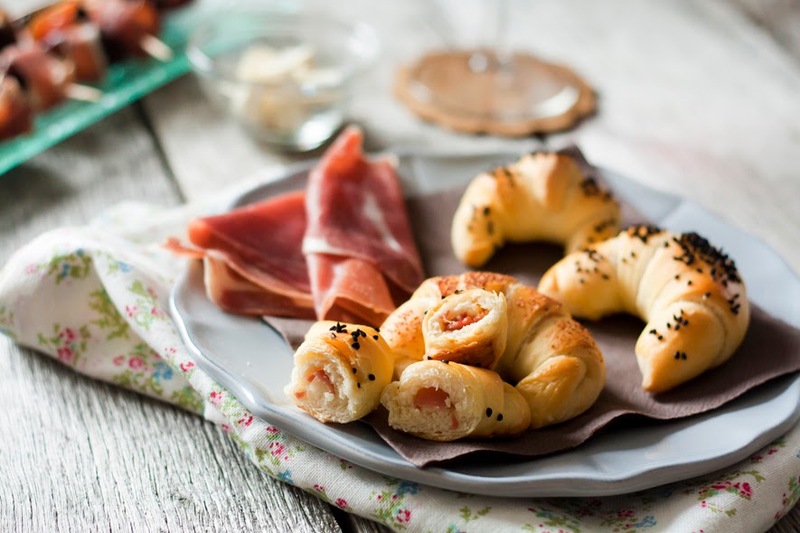 I was delighted to try it out, as the idea was to use Parma Ham to create something delicious for entertaining guests or for holiday celebrations with the family. I incorporated this top-quality product into an appetizer and buns which are very often made throughout Croatia for family and friends gatherings. My purpose was to blend this Italian ham with some of our traditions and show how it could fit into a cuisine a little bit different than the Italian. I would like to take a moment to talk about Parma Ham. We Croatians have quite a bit of various hams and it is often found on our tables. Parma Ham, or prosciutto di Parma, was indeed a beautiful and superb experience for my and my family's taste buds. I am thankful for having a chance to try this product, as it is the best known of a family of Italian air-dried hams. It is made by traditional artisan methods according to strict rules protected under European law. These govern things like specific breed, age and feed of the animals used. 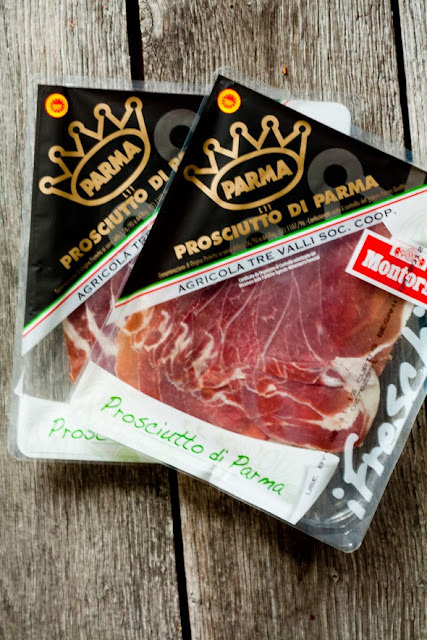 By law, only hams produced and cured in the hills around Parma, Italy, may become Parma Hams. To age a prosciutto is a subtle business and this one is done to perfection. The simplest way and one of the best for serving this ham is, I believe, thinly sliced as part of a cold meat platter. However, I wanted to go a bit further. I did use this idea and made it into a starter (antipasto), I wanted my guests to taste the ham in its glory, without cooking it, together with deliciously soft dried figs, which are sweet, and salty feta cheese. 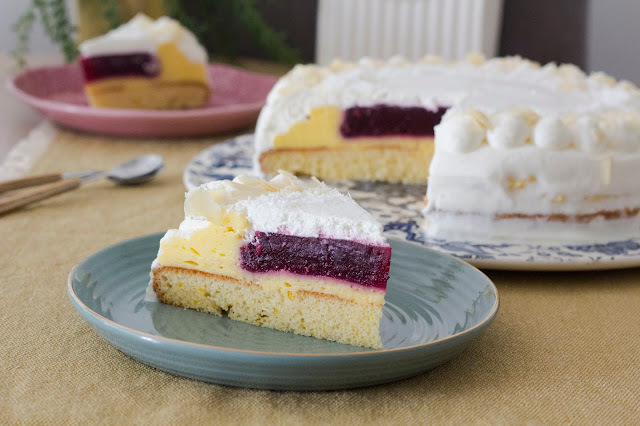 It looks nice and flavors blend perfectly: on the outside, you get sweet-salty fragrance of the ham, accompanied by the following sweet plums, ending with salty cheese. It's a well-rounded experience flavor-wise. If your dried figs are hard, I recommend soaking them in water or alcohol before use (you can use wine). Instead of feta, you can go for Italian cheese, but I wanted a blend of traditions here. Dried plums are often used in Croatian cuisine with meat, especially in holiday recipes. Serve it with wine, I imagine white and red is equally suitable, but I opted for a nice, red local wine. Place a plum and a piece of cheese (I cut feta into cubes) on top of each other. 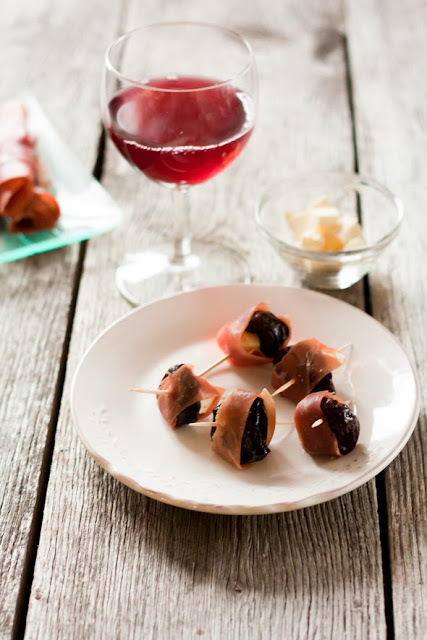 Cut thinly sliced Parma Ham into strips and roll each one around plum and cheese. Push a skewer through it, to secure it. Repeat with the rest of the material. Keep refrigerated, but serve on room temperature. I also toyed around with the idea of making traditional Croatian buns and filling them with Parma Ham. 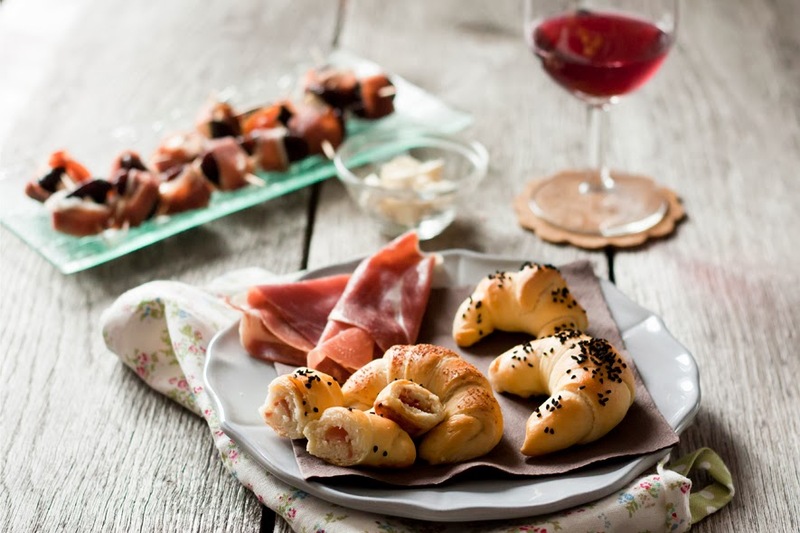 Buns, all kinds and shapes, are what Croatians so often make for holidays and parties. The ham adds character to these buns and they make such a great (holiday) entertaining dish. 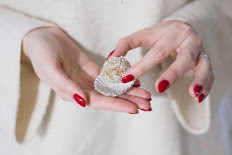 I brushed mine with whisked egg for nice, golden color and sprinkled with nigella seeds and powdered garlic. You can serve them alongside thinly sliced Parma Ham and with some cheese or sauce. Don't forget the wine. 1. Combine flour with salt, yeast and sugar. Sift. Add warm water, warm milk (lukewarm, it must not be hot) and olive oil. Knead until soft dough forms. Cover with plastic wrap and let sit on room temperature for hour or hour and half. 2. Punch the dough and cut in two equal parts. Roll each part out onto a floured surface, into rectangles. Cut into four parts and then each part in half. 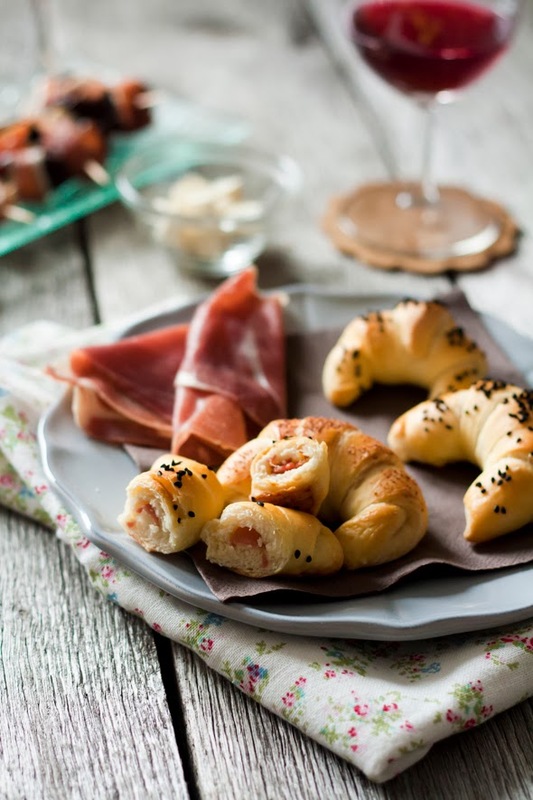 Place a piece of Parma Ham into each part and roll, making a croissant shape. 3. Place buns onto baking sheet lined with parchment paper. Cover with clean kitchen towel and let sit for 40 minutes. 4. Preheat oven to 356 F (180 C). Brush buns with whisked egg and sprinkle with seeds. Predobro izgleda, pršut nikada ne odbijam :), a u ovim kombinacijama bih ga posebno rado probala !